There is often a romanticized notion of Punjab villages as affluent, the bread- baskets of Asia, with vibrant and healthy people. Reality looks quite different across Punjab’s villages today. While Punjab was picked for its fertile promise by the harbingers of the “Green Revolution” in the 1960s, in the decades that have followed, unsustainable agrarian practices have deeply hurt small and marginal farmers. There is a farmer suicide epidemic in parts of Punjab. While male farmers overwhelming become the victims of suicide, women and children struggle to survive. Adopt-A-Family is a project through which Saanjh supports the critical work of Baba Nanak Education Society (BNES, registered 80G(5)(vi) charity), a Punjabi non-profit known for its diligent, steadfast and passionate work in Punjabi villages. True to the spirit of Guru Nanak, BNES has refused to accept destitution as the status quo and has challenged the current order by highlighting the plight of Punjab’s farmers and adopting family members of farmers who have committed suicide. Without such adoptions, the financial desperation in the family only increases and many families have even witnessed multiple suicides: the father commits suicide, followed by the elder son, then the younger son… BNES intervenes on this vicious cycle. Also, its support to families prevents other manifestations of such desperation such as domestic violence, feticide & infanticide. You can support a family for just $360 per family per year (less than a dollar a day). The money is provided directly to the families with only one condition and qualification: their children stay in school. It allows families to continue living together—rather than being forced to send children to live with relatives or in orphanages. It incentivizes the education and empowerment of children. 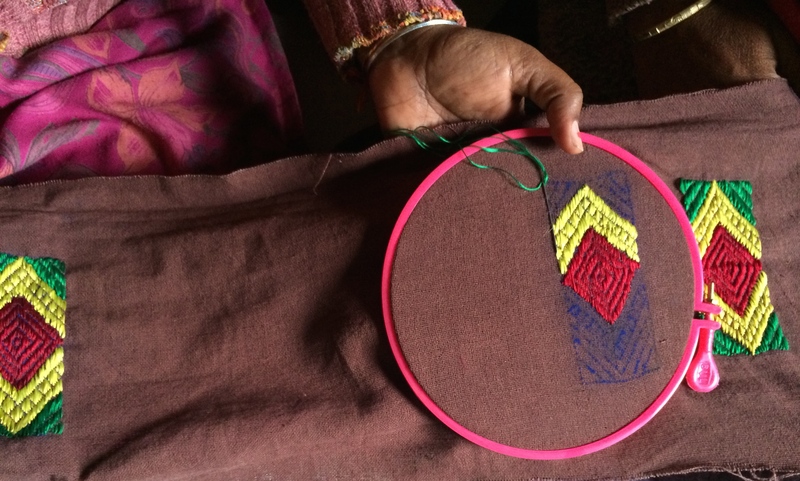 In partnership with Building Bridges India &the Kabliji Memorial Trust, BNES is facilitating 5 stitching centers for girls and women, reviving tradition with a commercial eye (such as the Phulkari Challas/keychains), and also providing women a self-help group for advice, discussion, support, and building economic self-sufficiency. How Does Adopt-A-Family Program Work? $360/ year is provided to each family through a fixed account in the local bank. BNES field workers visit families regularly and ensure the children are in schools—the condition of adoption of these suicide-affected families. BNES monitors disbursement of funds bi-monthly. BNES continues to identify other cases of agrarian suicide and needy families. Adopt a family by donating $360. Donate a smaller amount: will be pooled towards $360 for a family. Make a donation to the Stitching Center project and support women and girls. Join our Facebook page Spread the word ! A Bitter Harvest: Farmer suicide and the unforeseen social, environmental and economic impacts of the Green Revolution in Punjab, India. The Hidden Victims of India’s Suicide Belt. Political Silence on Farmer Suicides. Every donor receives a Phulkari Key Chain made by the women in the stitching centers in Sangrur!